Gujarat NEET Counselling 2018: Admission Committee for Professional Undergraduate Medical Educational Courses (ACPUGMEC) is responsible for conducting the Counselling process. The ACPUGMEC has been set up by the Department of Education, Gujarat Government to provide admission for various MBBS / BDS degree courses. The authority also offers admission in Ayurveda, Homeopathy & Naturopathy degree course. Courses offered in Gujarat MBBS/BDS colleges are MBBS, BDS, BAMS, BHMS, and BNAT. The admission in these all courses will be done on the basis of NEET 2018 Result for 85% state quota seats. Counseling will be performed for eligible candidates and for those who have domicile of Gujarat state. Gujarat MBBS Counselling is expected to be start from the 2 weeks of July. Candidates are suggested to visit the page, to know all the details like availability of seat, cutoffs for the colleges etc. Gujarat NEET 2018 Counselling Dates is not declared yet. Here we are providing the expected dates based on the previous year counselling dates. Check the important dates related to Gujarat NEET Counselling. ACPUGMEC will invite the application form for the eligible & qualified candidates. 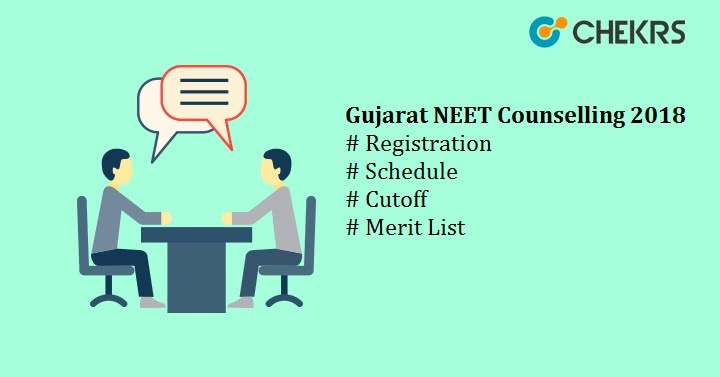 Registration is important to take part in the Gujarat NEET Counselling. Registration will be done through online mode. Gujarat NEET Counselling Registration form will be started from 2nd week of July. All The eligible candidates have to purchase a PIN by paying Rs.200 as a fee with the booklet. After getting the PIN, Do a registration and All the candidates have fill the application form. If Applicants want to change or correct the filled data, They can contact nearby help centers. Candidates can fill the choices of courses/colleges through online mode. Candidates can fill multiple choices. Take the print copy of filled choices. Candidates have to report to contact the help center for the document verification process. At this help Center, Their Documents and Certificates will be verified. After the documents verification procedure, A merit list will be prepared by the exam authority. The merit list will be prepared on the basis of All India Rank of Candidates in NEET Exam. After the Merit list. the seat will be allotted on the basis of All India Rank, Reservation or Category & Seat Availability to all the eligible candidates. The Gujarat NEET Seat Allotment list will be uploaded on the official website. So Candidates have to visit the official website for the seat allotment letter. Candidates have to report at the allotted colleges to confirm their admission. By paying the admission/tuition fee, their seat will be confirmed. In case, candidates failed to pay the admission fee within the given time duration, then their seat will be allotted to other candidates. The cutoff for 15% All India Quota Seats category-wise. ACPUGMEC will announce the Gujarat NEET 2018 Merit List in the month of July. Merit list will contain the name & state rank of candidates who are permanent residents of Gujarat. The admission process for 3850 seats of medical colleges across Gujarat is conducted on the basis of merit list.